Free Shipping on Orders Over 100. Some Restrictions Apply. 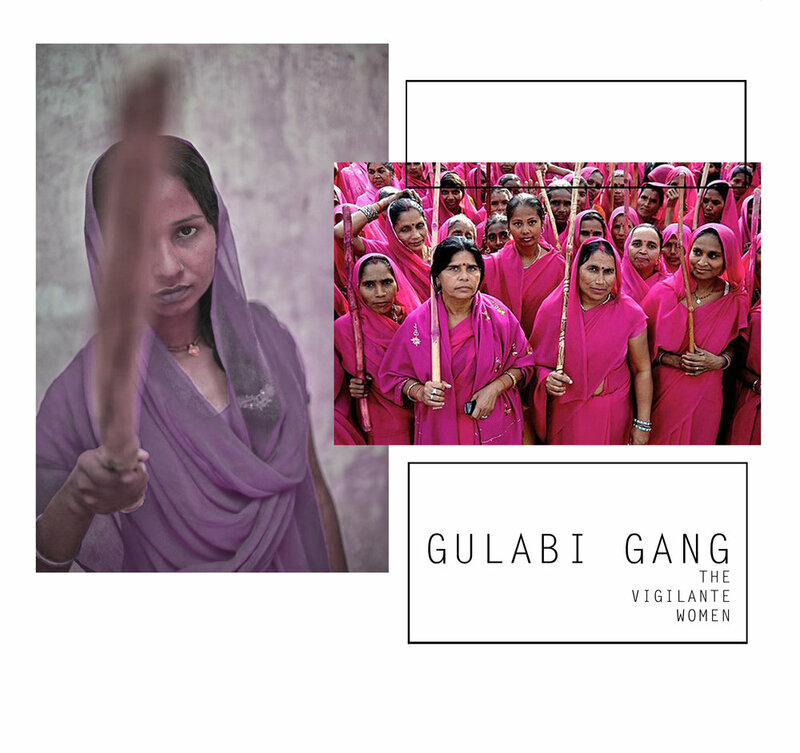 An Indian gang made up only of women - all dressed in bright pink Sari's. This gang is taking back their rights as women, teaching their young to stand up for them selves and to fight back against suppression. It is empowering not only their members, but all women around them and showing a support system to those who need it. It was originally formed as a result of many Indian women being raped and abused by their husbands without further investigation or charges. These women came together and started patrolling the streets with sticks, ready to step in if they witnessed any assault. The inspiration the team at Ferrah drew was the female support system, the empowerment, the sisterhood - all coming together in drapes and yards of fabric sculpting and embracing their womanhood.